Year vs. semester vs. term breakdown for the 2018/2019 academic year at PCSS. Please note: exploratory courses are VERY short - they only run every other day for a single term (half of a semester). This is a total of only 19 days in class! Just a few days absence can quickly add up to missing a significant portion of work and content, skills and discussion. Many of the materials used in this course cannot be posted on this page due to copyright. In order to earn a passing grade in this course, it is important that students be in class, participating and using their time effectively. An informational link for students who have applied to experiential programs for next year. The link below will be used by students when we work on connecting our interests to potential career clusters. Entries in the Week by Week section of the page are sorted so that the most recent information is always at the top of this section. For older information, you will need to scroll down to the appropriate date. For general information that relates to all courses and sections, please see the landing/home page of this teacher site. Please note that any materials that can be posted online (based on copyright) will be posted/linked on this page. This will include learning materials accessed digitally in the classroom, deadlines, assignments and supplementary / support materials. If a student misses time, they are expected to access their work on this site. If there is limited access from home or the location in which a student will be spending time, students will need to use access when they are back at school in Lunch Labs, after school or on breaks, or access resources available through services like the Whitehorse Public Library, Skookum Jim Friendship Centre's After School Tutoring Program, the Kwanlin Dün Kenädän Ku House of Learning, and/or other available community resources. Please Note: the beginning of the course was taught by Ms. Astrid Sidaway-Wolf, a gifted and passionate educator. She put considerable time and effort into building rapport with students and to providing them with an introduction to curriculum, course materials and concepts. These First Peoples Principles of Learning (as developed by FNESC in BC) underpin many of the classroom expectations and learning activities in our classroom. In the first two weeks we've been looking at some of the things that we will be examining more closely this semester using the Big Life Journal, and starting some learning about how the brain works - important because we all have one and it's central to pretty much everything we do as students. Although this is a Careers course, the focus will be on building skills in goal setting, self-reflection, being flexible, making choices, mental and emotional well-being and resilience. 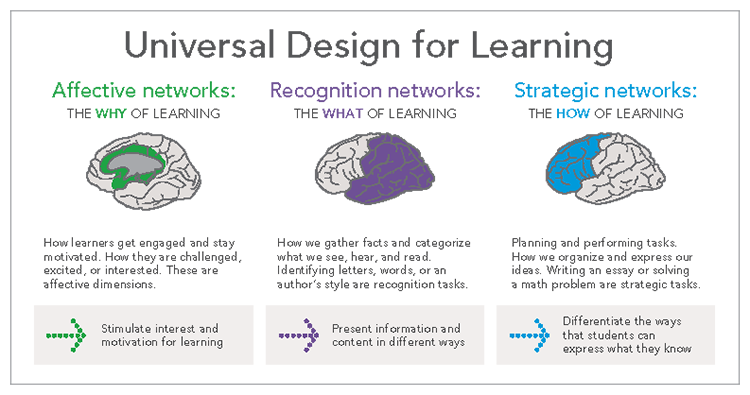 We do some work around connecting interests to potential career 'clusters' but the emphasis is on accurate self-assessment and understanding that there are a range of options available that may suit any given set of interests and skills. Students discussed the fact that part of balancing life and work is also balancing your health, and that includes mental and emotional well-being as well as physical health. Below you will find a series of links to community resources for youth here in Whitehorse. There are also resources on the landing page of this site. We discussed the importance and impact of being kind and learned about how our brains work. If you and/or someone you know or care for are experiencing any of the symptoms below, please reach out for help. ​(The symptoms below are sourced from the BYTE! 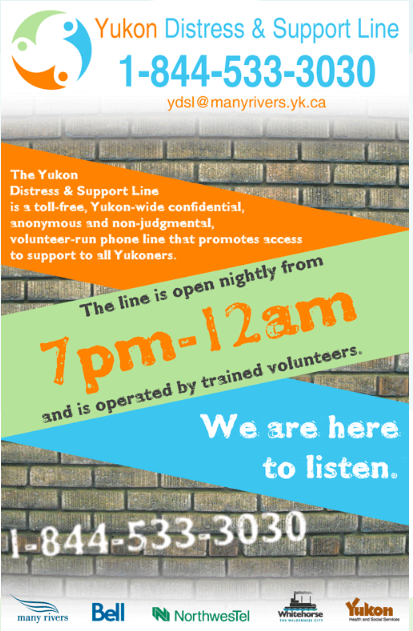 Yukon page on Suicide Prevention). 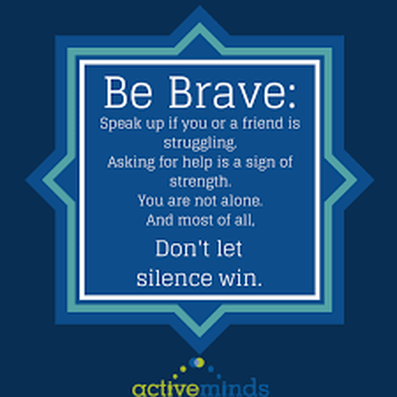 If you, someone you know or care about is struggling with thoughts of self-harm, or any of the other warning signs for clinical depression or suicide, there are safe, anonymous sources you can contact for support. Please note that these resources are helpful and available, but if you or anyone you know of is in immediate danger, please call 9-1-1 immediately. The services linked here are not intended to replace treatment or advice from qualified medical practitioners who can work with you directly. They may be able to help you to access local services or offer advice on how to get the best help to meet your needs. Visit the site below for information on Yukon government programs related to health and social services.